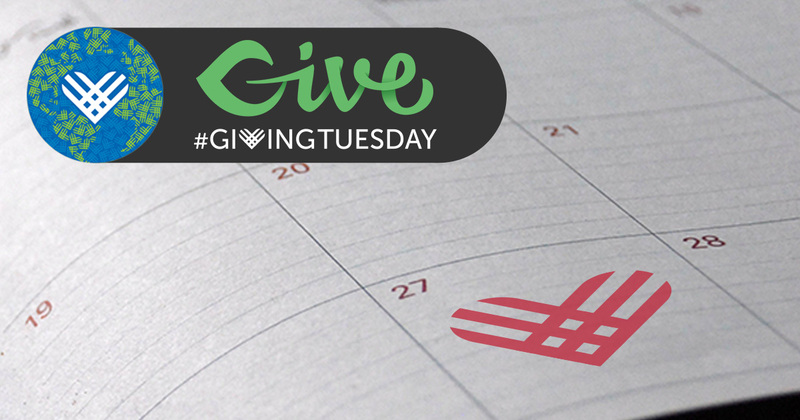 Giving Tuesday is the biggest event of the year for many nonprofit organizations. It follows Cyber Monday and it’s tailed by the Holidays. This Giving Tuesday Guide is meant to walk you through planning for a large-scale campaign. After we’ve walked you through the process of planning for Giving Tuesday, we’ll provide a downloadable guide for you to use. The guide includes a 10-week planner, a brainstorm session worksheet, a content checklist, and a schedule. This guide was created to help keep you organized and maximize your Giving Tuesday Campaign efforts. Why Plan Ahead For Giving Tuesday? As one of your potentially biggest campaigns, Giving Tuesday goes by really fast. It’s only one day preceded by months of preparation. When it’s all over, you get to revise your plans for next year. 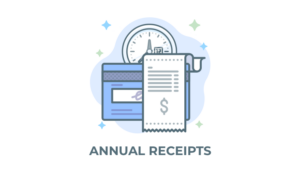 Your donors are able to make donations without any technical errors or difficulties. Your materials go out on time because they were all ready to roll out in advance. Your donors are aware of your campaign ahead of time. Almost nothing unforeseen will get in the way of a successful Giving Tuesday fundraiser. Begin at least ten weeks in advance. You will want to get your team on board, your fundraiser-type finalized, all supporting web-pages set up, and your marketing plan and materials ready to launch. It’s a lot of work and we recommend going at it with a team or starting even earlier. Giving Tuesday is a great time to launch a new large-scale campaign or even a completely new cause. Jumping on a trending topic to spread the word about your cause helps put more eyes on it at one time. You can use this technique in many ways, including for other international #cause days, like Endangered Species Day or Tiger Day. To begin with this strategy, start using the specified hashtag. In this case, it’s #GivingTuesday. Plan the rest of your campaign, content, and donor awareness around this concept. If you need to know more about Giving Tuesday, read about what it is and how it came about here. In the first few weeks, you will want to make sure that all of your materials and landing pages are ready to go. Meet with your team to discuss the capabilities of each member and divide out the tasks. Giving Tuesday Logo: Generally, you will want to stick close to the main Giving Tuesday logo as well as your own brand standards. Try to find a good balance between the two. Or just use the Giving Tuesday logo and your own logo strategically together on your materials. Cover Photo Images: Focus your social profiles on your Giving Tuesday Campaign during this time with cover images. Update these on Facebook, Twitter, and any other platform on which your organization is active. GIFS or Videos: Moving images and general movement generate a lot more engagement than still photos. Try to add multiple types of media content into the mix. Blog Posts: If you plan on using content marketing during your Giving Tuesday campaign, write as much of your content as you can before beginning. Social Media Schedule: Know what you will post and when. Be strategic in your planning. Plan everything starting from before your campaign to afterwards. Email Marketing Schedule: Write the content, subjects, and calls to action for your emails now. Plan ahead and be strategic in your communication to your donor base. Others: Anything else you need to execute your Giving Tuesday fundraiser should be completely set up or at least started before you begin generating awareness about your campaign. Use the trending topics leading up to Giving Tuesday to generate more awareness of your campaign. A few weeks before Giving Tuesday, begin to generate awareness. This is when your content, social media, and email marketing calendars kick in. Make sure you begin posting at least once per week about your Giving Tuesday campaign on all social media outlets you’re active on. In addition to posting on social media, tell your donors! Tell your email marketing lists about your upcoming campaign and how they can get involved. Turn your donors into brand ambassadors and ask them to spread the word for you! Recurring donors might warrant an extra email. Explain to them that you appreciate their current levels of giving, but you’re asking for a little extra on this one day to help your cause. Make it clear that even if they don’t give, helping you spread the word is generous enough. Make friends in the community. Get to know other Giving Tuesday campaigns, get involved with similar organizations, and harness the power of influencers. Find someone with a large social media following who gets a lot of engagement from their fans. These kinds of connections are the key to turning your campaign into a viral phenomenon. Once your campaign is active, you should be on social media every single day. Engage with other pages. Engage as your page, engage as yourself. The point is, ENGAGE! If needed, sign up your volunteers to run your social media channels during certain times of the day. That way your social profiles are always active and you don’t get burned out. People won’t know about your campaign unless you’re actively telling them about it and generally participating in the online community. Not everything you talk about and post needs to be relevant to your campaign, but the goal should be to generate traffic and increase your page’s reach. In this section of your content calendar, you should have at least one post per day on social media outlets and one or two per week on your own website blog. Yes, a blog, or a new page on your website, is important for Giving Tuesday. Use your story to get potential donors to give. Most importantly, meet with and engage your potential donors wherever they are at. If they’re on Twitter, use Twitter. If they’re on Instagram, use Instagram. After Giving Tuesday, it’s important to follow up your campaign with some post-campaign tactics. Share your results, send thank you letters or emails to all your contributors, thank large donors publicly (when appropriate and you have consent). You might even consider using a donor wall to display your Giving Tuesday donors. The follow through is the most important part because it brings people back next year and shows that you truly appreciate donations given to your cause. If that sounds like a lot of work, it’s because it is. Not to worry! We’ve compiled all of our best templates for you to use in this Giving Tuesday Guide. Inside, you’ll find a timeline, content checklists and more.